Jessica is in Town! | Sweet . Sassy . and a bit Smart-Assy . 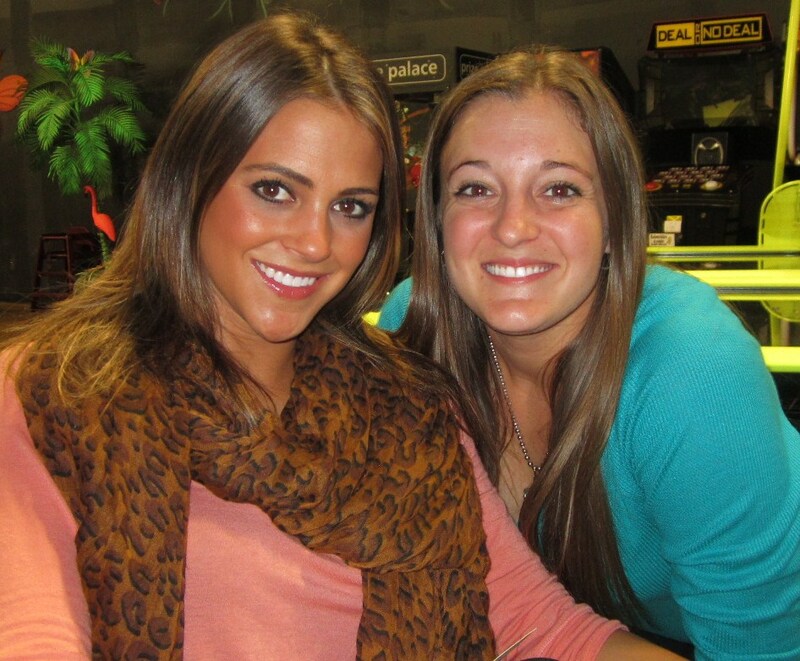 My friend, Jessica, lives in Dallas but she came back home to us Monday and will be here for a whole week!! I am so pumped!! 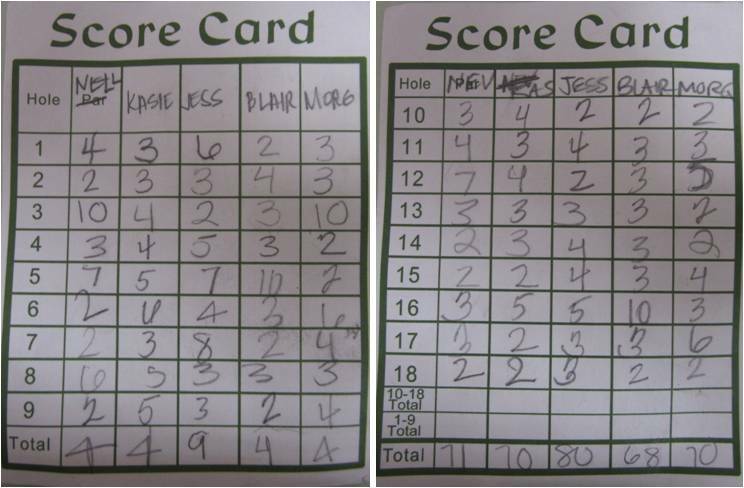 Last night, to celebrate Jessica being here, we had a girls night out with dinner and black light putt-putt golf. 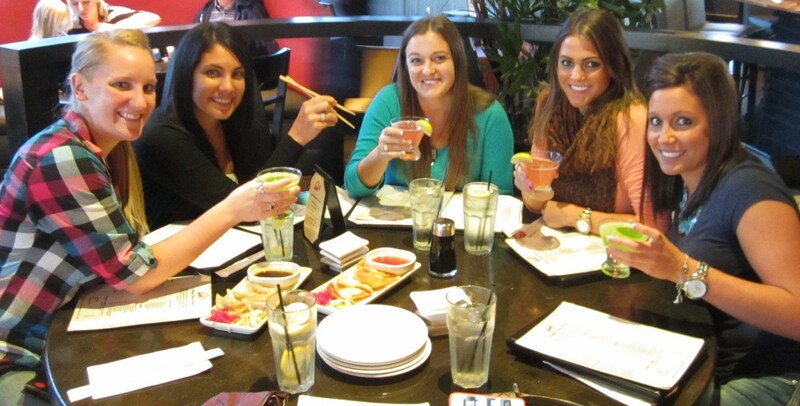 We went to Chi Sushi in the Woodlands for dinner. I had never been there but I love sushi and this place didn’t disappoint. 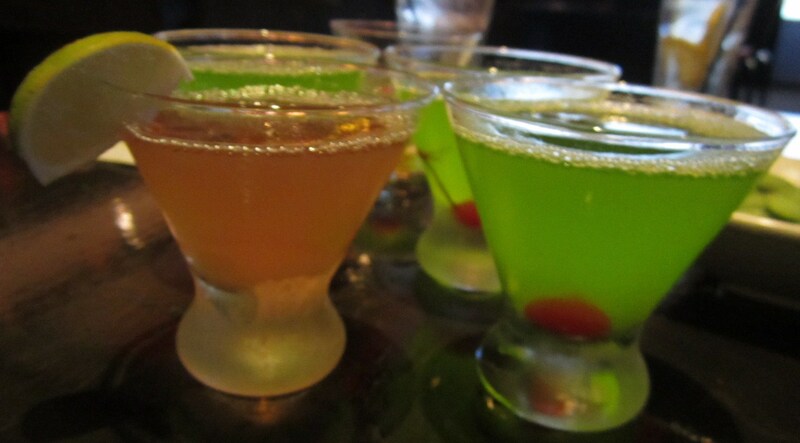 It didn’t hurt that we made it in time for Happy Hour so we ordered martinis and cosmos for $4 and sushi for about $3 a roll! Now we are talking! I love happy hour deals, especially on sushi because it is usually so expensive. What I don’t love are lazy waiters. Our waiter put all of our items on one check and when we asked if he would split it for us, he told us to take a pen and mark next to each one to tell him who had what…seriously? There were marks ALL OVER that receipt because nothing was grouped together like it needed to be and he still had to ask us who had what so why he didn’t just do that in the first place like we asked him to, beats me. 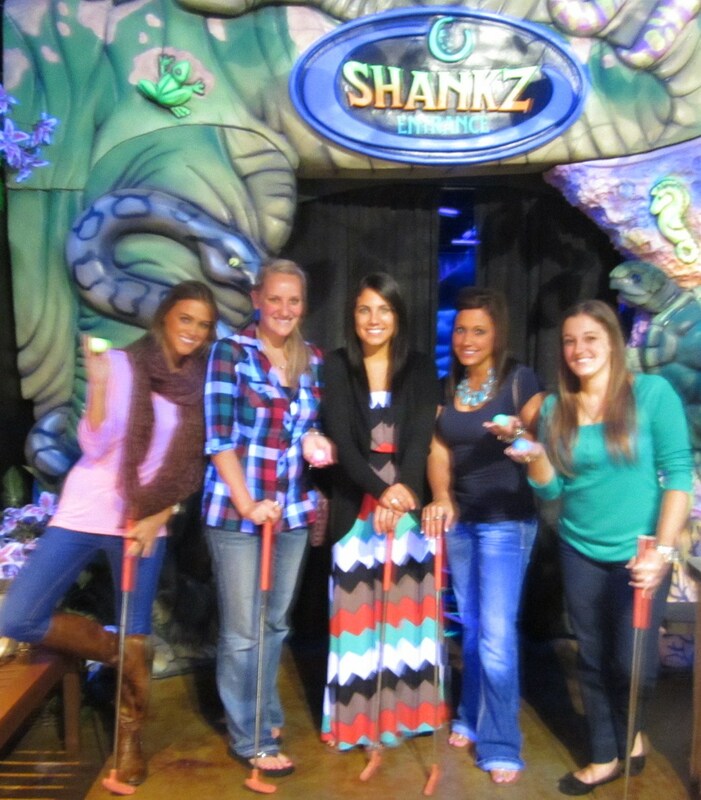 The putt-putt place, Shankz, closed at 8pm so we had to make our dinner rather quick so we could make it over there with enough time to play 18 holes. A lot of my pictures turned out pretty blurry because the black light messed with the lighting on my camera. So my apologies for the poor quality pictures. I will have to add more when I can get the pictures from Jessica’s camera at a later date. In the black light it looked like I only had on a bra…you could hardly see my shirt. But what can you do? Nothing. So I just ignored it and carried on with our putt-putt. 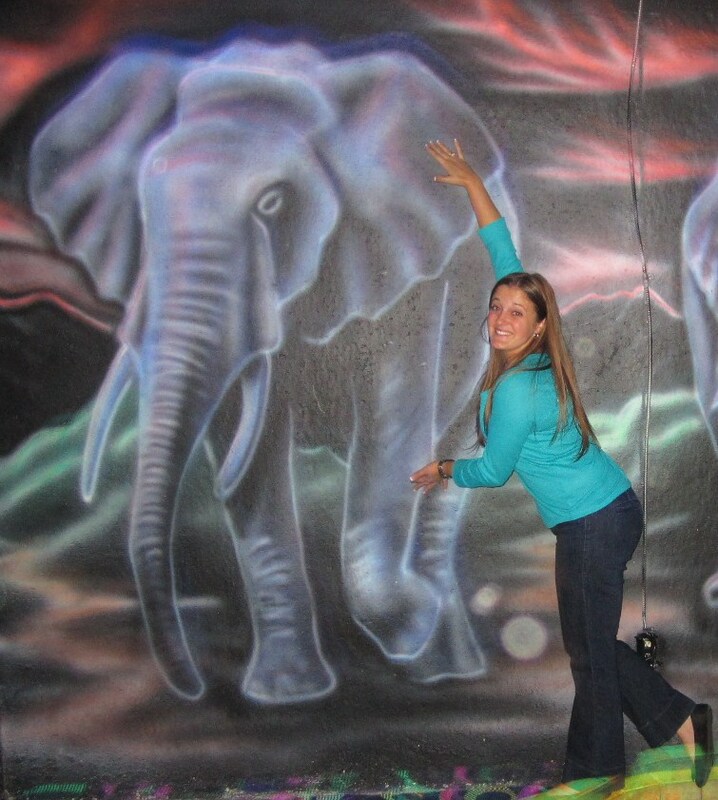 There was even a painting of elephants on the wall! I was really hoping for a big, fake one at one of the holes but this was all I got in the elephant department. The last hole was one of those that you have to hit up a ramp and it stays there so it basically turns your ball in for you. Well everyone had already gone and they told me to hit the ball really hard to make it up the ramp…Unfortunately I took that too literal and probably should have yelled “Fore!” after swinging as hard as I did. Well the stupid ball ricocheted off the ramp and flew over the partition back to the 2nd hole where a group of younger kids were playing. I heard one of the kids say something along the lines of, “A ball just fell down here from somewhere. Where’d it come from?” I had to run all the way back through the course to retrieve my ball and when I finally reached the kids I looked around for my ball and noticed two of the boys snickering at me. I said, “I know you can see my bra. I’m over it. Do you have my ball?” One kid had pocketed it so he gave it back so I could run ALL THE WAY back to the 18th hole and try again. Did I mention that I won? Shankz was a pretty neat place. 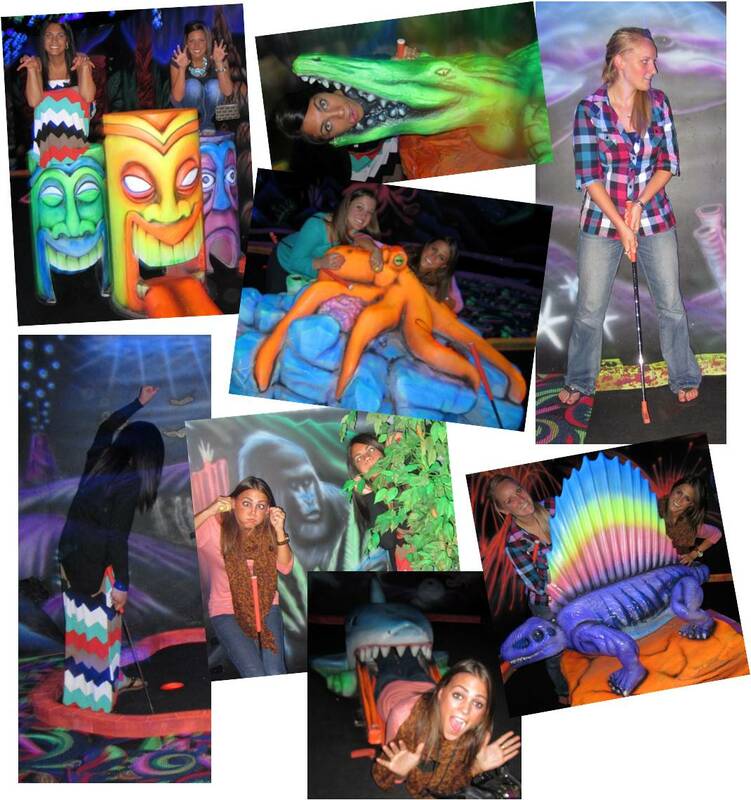 That was the first time I had ever played black light putt-putt and I can say it was a neat twist to the regular game. I would suggest getting a brighter ball than the blue one that I had because the brighter ones are easier to see but it was a good price for 18 holes of putt-putt. I think we all had fun, especially for a random Tuesday night!